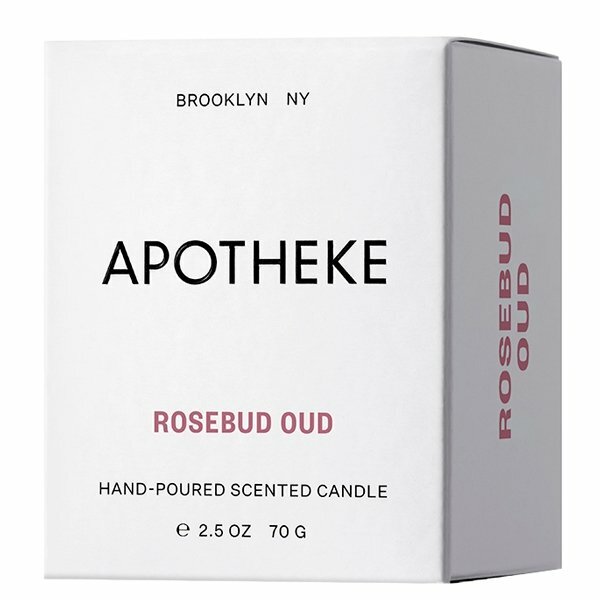 Apotheke Rosebud Oud Votive Candle is rosewater, peony, and white rose petals blended with tonka and oud as well as gentle hints of raspberry and pink grapefruit. Apotheke Votive Candles include extraordinary scents that burn clean, enhancing any room with beautiful, simple design. Apotheke Votive Candles are made in Brooklyn, of a high quality soy wax blend and burn 20 hours.